This is an excellent selection for customers looking to order a teardrop flag but have limited space. At 8.5ft tall overall height, this is one of our smallest kits. The custom teardrop flag is 6ft tall and the pole itself will be about 8.5ft. 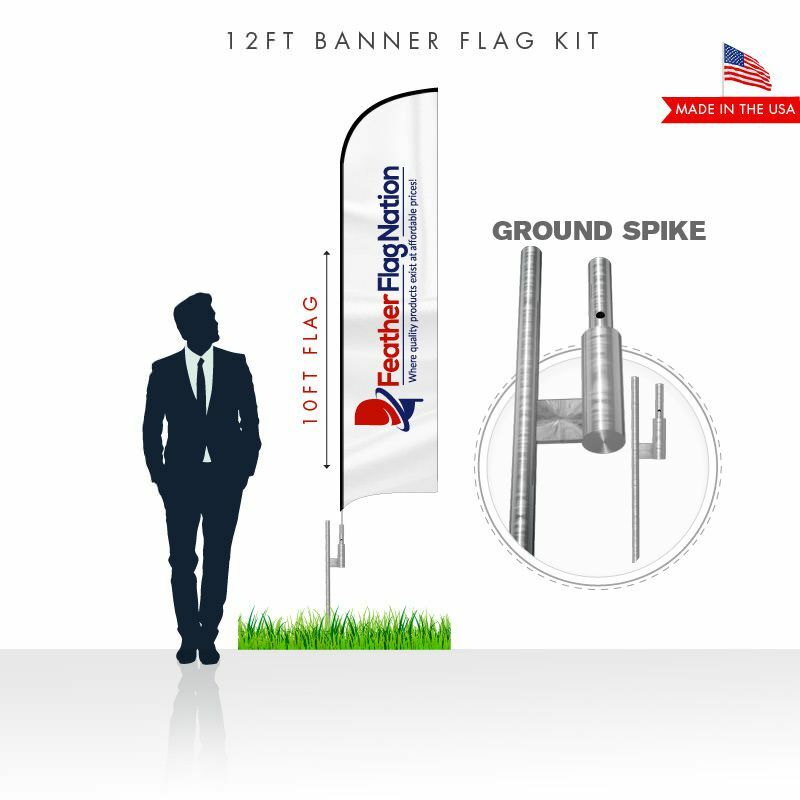 The included ground spike in this kit makes it perfect for outdoor advertising use. 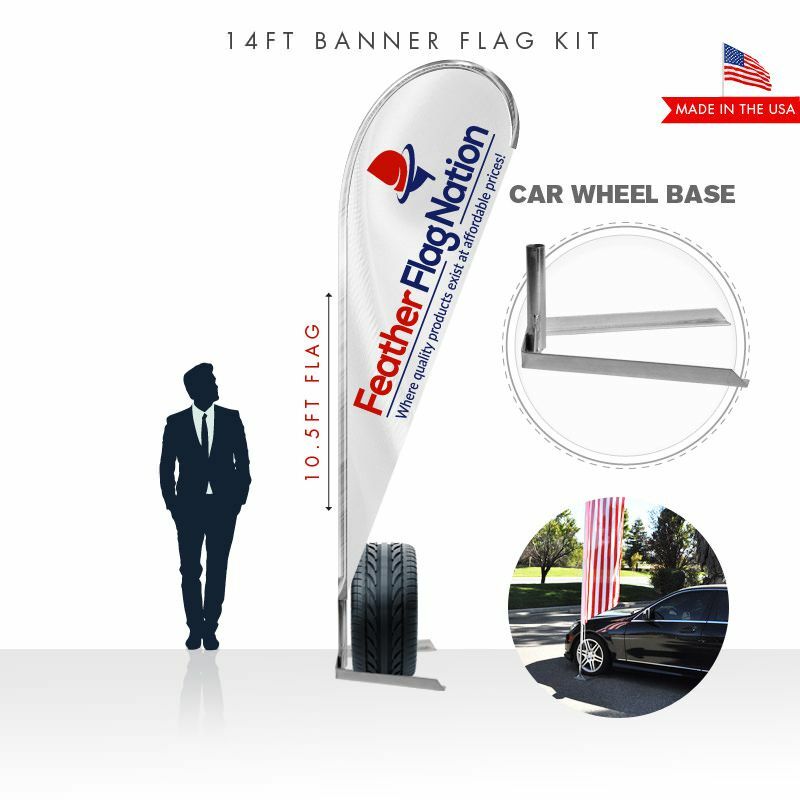 Feather Flag Nation uses high quality materials to create vibrant and attractive marketing displays and signage. Teardrop flags are great for logo flags and some text. 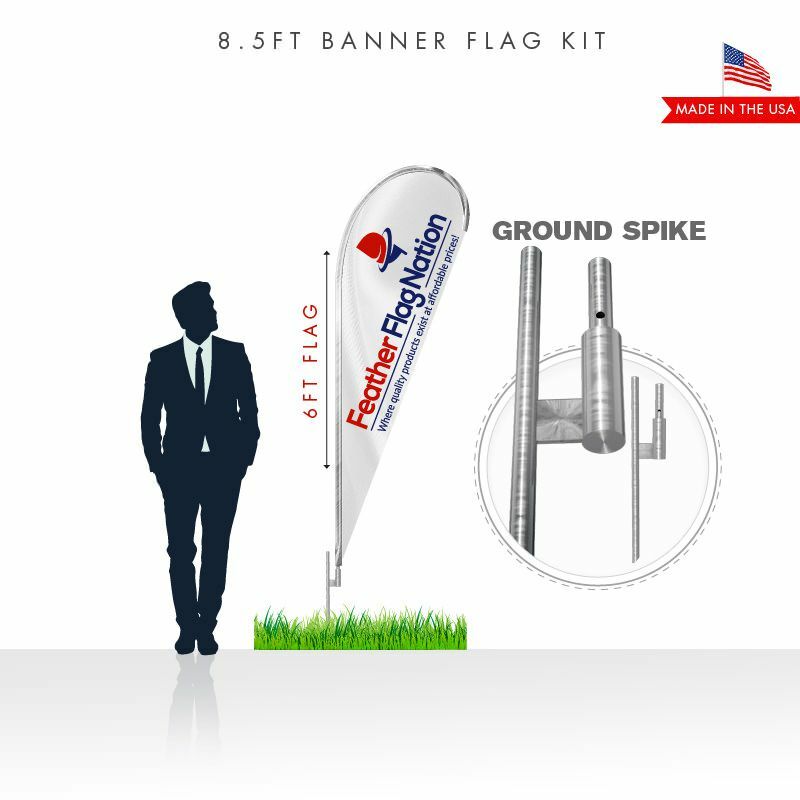 The 6ft flag may be smaller than other selections, but it can still capture the attention of potential customers walking or driving by. Why waste money and time on low quality flags from other companies? Our flags are created to be durable in outdoor weather though wear and tear and fading can be expected after several months. Need to advertise your business or organization? Put your logo or text of your choice on a teardrop flag! You can design the teardrop flag yourself using one of our teardrop flag templates! Download the correct size template on the site. 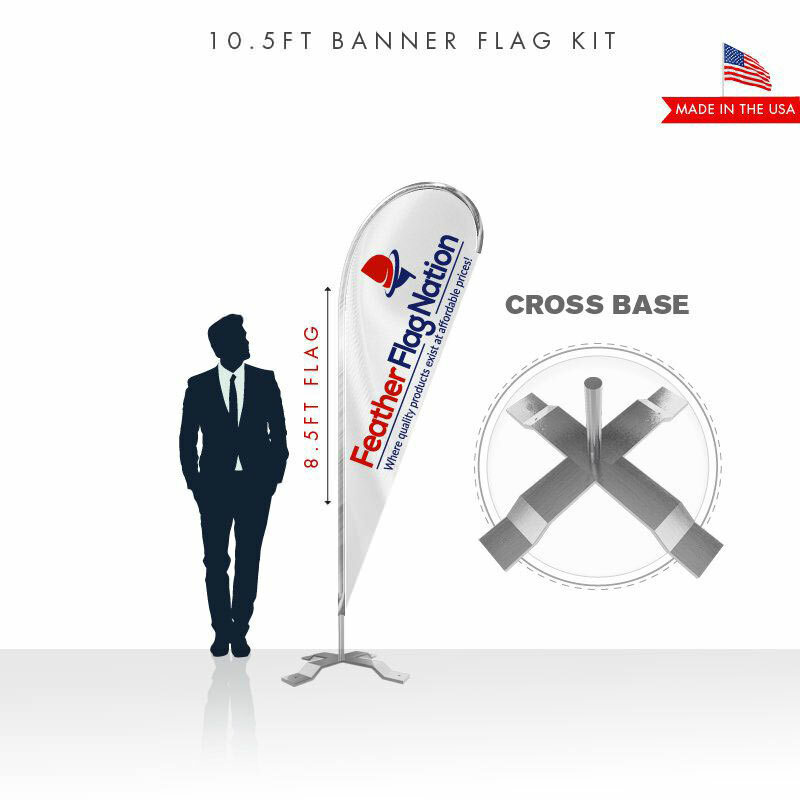 If you need help designing your teardrop flag, the graphic design team at Feather Flag Nation is here to help! Contact us today. Q where are your back pack flag templates? 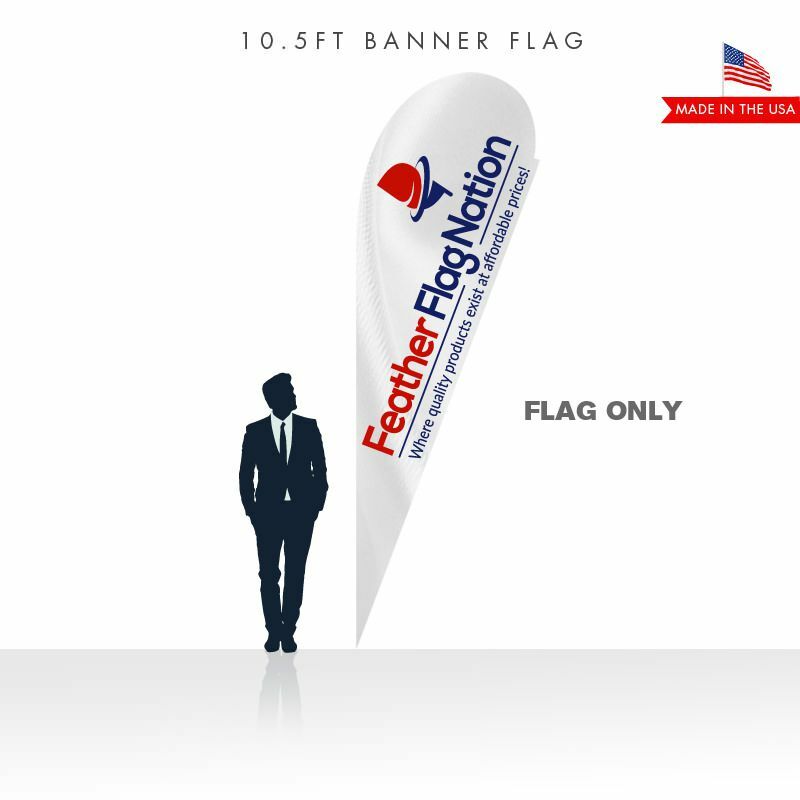 A You can email us at sales@featherflagnation.com to request the backpack flag template. Q How many days is the printing time? A Custom teardrop flags usually ship within 2 to 3 business days. UPS ground will take an additional 2 to 5 business days, depending on your location.